Summer is finally in full swing, so if you’ve been hiding your gorgeous gams underneath long skirts and skinny jeans all season, it’s time to do something about it. Flaunt what your mama gave ya and prep your pins for the warmer weather with these expert tips. 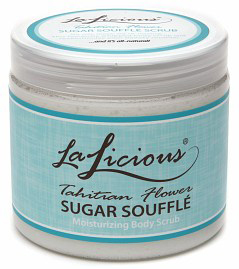 Prior to waxing or shaving, it’s of utmost importance to exfoliate your legs. While this is no new tip, it is tried and true, notes YouTube fashion and beauty guru Holly Ann-AeRee. “You’re not only showing off more skin during the summer, but you’re also wanting that healthy glow. And nothing makes your skin look better than taking care of it!” So slough away those dead skin cells, and let your legs shine. Shave during a warm shower, when the hair is nice and soft, advises Melissa Cavanaugh, owner and co-founder of Pulse Laser & Skincare Center in New York City. “Make sure your razor is fresh, and that the area has been prepped with a shaving cream or shaving oil first. If your legs have extra-coarse hair or are prone to ingrown hairs, shaving with the growth of the hair can often be helpful.” After you’re done shaving, Melissa recommends using a gentle astringent to keep the area clean and free of bacteria. Hate shaving? Try a pain-free hair removal cream that actually smells yummy instead! 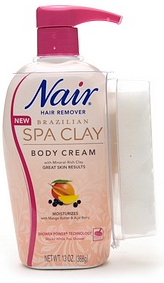 Nair’s Brazilian Spa Clay for legs and body removes hair while you shower using Nair Shower Power technology. Simply smooth on your legs before you hop in the shower and step out with silky smooth skin that stays hair-free for days longer than shaving. You can’t beat that, now can you? 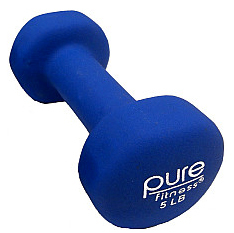 To make your legs (and buttocks) toned and tight for those short summer skirts and shorts, beauty and lifestyle expert and licensed medical aesthetician Kelley West recommends doing 40 to 50 squats a day while holding a five-pound weight.